The Windows operating system recognizes the outlook: tag and whenever it sees that it’s part of a link, it triggers outlook to do something. Depending how you format the hyperlink, you can open messages, folders, contacts and meetings stored in outlook from websites, documents (Word, OpenOffice etc), Excel spreadsheets and powerpoint presentations stored either locally or even over a shared network. It is best to use the GUID URL since you don’t have to worry about changes breaking the link. To capture the GUID, you need a little free program called Outlook Linker (it’s free but you need to enter your email so that they can send you the link to the setup file). If you are after a outlook message, all you have to do is select that message in outlook, and then left-click on the linker icon on the lower right of the taskbar so that the link will get copied. Next, you will just have to paste it somewhere. It works the same way for contacts and even calendar events. If you are building a webpage using HTML, then you can merely copy and paste that code to the HTML file, and maybe just changing the link text. In Excel, press CTRL-K in a cell, enter any text you want to be displayed, and paste that piece of code above (ex. outlook:123437654) at the address section. That’s it. “Cannot Open the Specified File”. 1. Make sure that the oulook item (email, event, contact etc) still exists. The outlook items do exist. I’m testing in the SENT folder of an IMAP connection. I also tested with some draft items sent to the local store. I tested quite a lot yesterday. I am fairly dead certain that I copied the complete GUID and pasted it correctly. I’m using Outlook 2007 and the latest version of Linker. I’m on Vista. I’ve followed the instructions pretty carefully. Aargh. By default, outlook 2007 doesn’t recognise the outlook: hyperlink, so you might want to read my how to enable outlook: hyperlink in outlook 2007 post. In my machine the Outlook Linker (Windows Linker) setup program can not modify oleaut32.dll even when it is run as administrator. Hmmm…. not very sure why you’re having that problem there. When I try to open an Outlook item from a hyperlink outside of Outlook, I’m getting a different error message. It says, “Windows was not able to open the requested link. The operating system denied access to the specified file.” Can you tell me how to solve that problem? Thank you. Hep what could be the problem? For those who are having trouble with the outlook :url protocol, the document shared by Mario is a good reference on how to get the problem solved. Yes, that solved my problem. outlook: , skype: …etc what are called these ? where I may find ALL that exist ? hi david hope you can help me w/ my query.im working as an hr administrator with 5 accounts in different countries.im receiving hundreds of emial on my outlook daily where in 60 percent of that needs to take an action like hr processing..
with these im planning to have an excel spreadsheet like a masterlist of all task that i need to do base on the mails i receive daily so i can update it on the status and can immediatly locate that particular message on my oulook whenever needed.can i possibly make a hyperlink from the excel to my outlook. I am using the product. I have it configured and working with OUTLOOK 2007. The linl to email opens the email. Only problem I have is when the email is moved to another folder, the hyperlink does not. I had read that the GUID should work no matter even if the email is moved to another folder. Please advise if I am doing anything wrong or under the wrong impression. 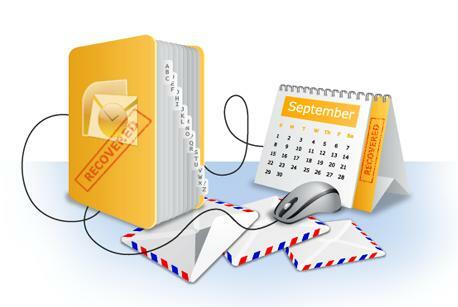 Have you tried getting a new GUID after moving the email to a new folder and see if that works? I did try that, that works but I was under the impression the GUID was unique irrespective of the folder. Isn’t that correct? You’re correct that the term GUID does mean that it should be globally unique . Honestly, I’m not sure why the GUID would change when you move it into another folder but it seems to be that way. Maybe some inspiring readers might know the answer? I am using outlook 2007, and I do not want to enable the outlook protocol. Technically the identifier used in Outlook is called an EntryID and is not a GUID. In particular, an Outlook EntryID changes whenever an Outlook Item is moved to a different folder either manually by the user, when an item is deleted or when a rule is applied. To compensate for this Outlook “feature”, our Teamscope CRM product stores a BackupID value in each item and uses that value to restore EntryIDs when items move, are recovered from the Deleted Items folder or a user has to move to a new Exchange server. For more technical information on this subject, please refer to http://www.outlookcode.com/article.aspx?id=19. Thanks for the clarification. It really helps in clearing up some of my confusion around how these so called GUID are handled in outlook. I am putting this hyperlink on an external web page and I have no idea what version of outlook the user will have. Is there a solution for this? 2/ When I try to follow the link I get a dialog box come up telling me that the link needs to be associated to an application and asking me to choose an application. I’m sort of assuming that if I choose Outlook here that’ll do the trick, but keep cancelling at this point as I sort of thought the registry modification was supposed to sort that out, but as I’m somwhat out of my depth already I don’t want to regret any wrong assumptions. On a separate note, if you have OneNote you can get around the issue of creating hyperlinks to Outlook contacts by clicking on the ContactNotes icon in Outlook, which creates a hyperlink in OneNote and then copying that Hyperlink to the spreadsheet, though it is rather cumbersome and seems to fire up one note as well as outlook whenever you follow the link. Hi David, Very nice and very informative which leads me to a question. I currently have a php script that uses IMAP to get emails from an Exchange sever, and I would like to have the same script automatically get the GUID of each email when the mail is imported, so that i can later generate “outlook:GUID” links for the user to link to the original email. This creates a link object in the journal that can be copied and pasted anywhere. 2. Copy and paste the link object from the journal entry created above into the email. 3. Give the email an appropriate subject, then exit, saving a draft copy. 4. Move the draft copy anywhere you want a pointer to the referenced folder. The same process can be used to provide a link to an email within your Outlook files to use in Excel for example. To get this work in Office 2010 you first need to add the outlook protocol like posted for outlook 2007 here. Remember to change to the right folder (office14 for outlook 2010). I am using Windows 7 and Outlook 2010 and I have a problem. When I click on the hyperlink on excel, it tries to open the mail with Internet explorer. How can I configure it to open those links with Outlook? Can the link to an Outlook email be used somehow with Outlook 2011 for the Mac? I am having the same problem as Serkan… It comes up saying Navigation Canceled. Hey, so I’m having issues. I’m using Outlook 2007 and Excel 2007. The linker works to capture the IDs, but when I click the link that’s created I get the message, “The address of this site is not valid. Check the address and try again.” Pressing Ctrl + K I can see that the ID seems to have been entered properly (though I don’t know how to check this), however the program is asking to “Look in:” a folder to find this reference. It defaults to “My Documents” (which I’m sure can be changed easily enough), but the realy problem is that the contacts in Outlook aren’t stored in a folder, they’re stored in a .pst file. Right? So how do I get this to work? Thanks to your article I’m now able to link Word and Excel (Office 2003) to emails. I did have some difficulty as the program did not put an icon in the system tray initially. But, it did put itself on the Start Menu. And, when I clicked it there, it then created the system tray icon. Now I select an Outlook email, right-click the Linker system tray icon, select Outlook Item Link, go into Word or Excel and paste it. What’s pasted is the subject of the email, which I also like. Another nice feature of the program is that it will also copy to the clipboard the full address of any file you select in Windows Explorer by following the same procedure and selecting Explorer File Link. OK – so it seems that it’s not possible to maintain a link through emails being moved – the EntryID will change, and there is no way of getting a GUID? Also, is the GUID consistent if the Outlook instance is destroyed/rebuilt (eg. machine rebuild) – ie. stored by the server – or is it only local? David, great post, great blog! I’m trying to link to an Outlook folder from OneNote. I type the link, but when I click it, it just opens a blank Internet Explorer window. What am I doing wrong? I have a requirement…. if I receives an email which having link to some other email. If I wnt to reply to that email link which I received in the email text,like once I click to the email link it should not open in the new window… but it should reply on the same email….is it possible?